Words of wisdom and funny moments translating the East Asian world. Where in the world is Waygo? Milano! Che cosa?! Waygo anche parla italiano? No! 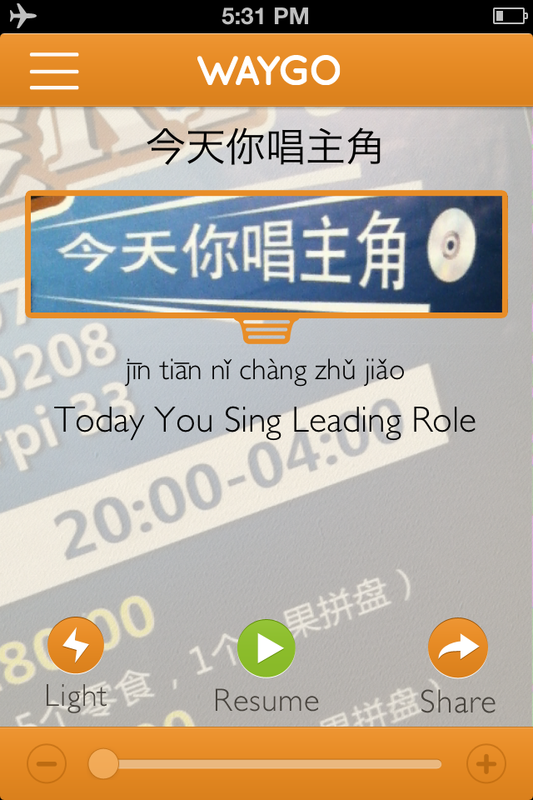 However, we were happy to discover that Waygo still speaks Chinese while traveling in Italy. Milan houses Italy’s largest Chinese community with about 19,000 Chinese residents, making up about 1.5% of its total population. Meat cut for Chinese recipes. 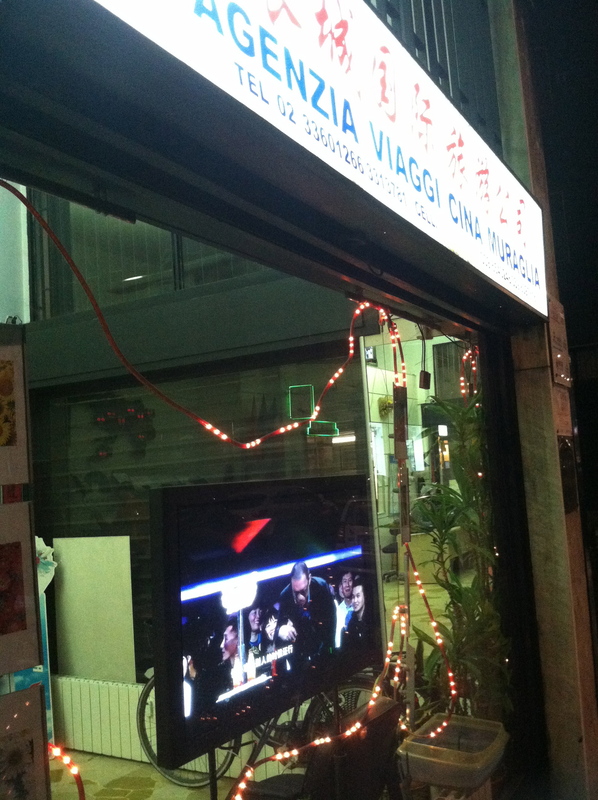 Watch Chinese television programs from the sidewalk. You don’t need a map to know that you’ve arrived in Chinatown. 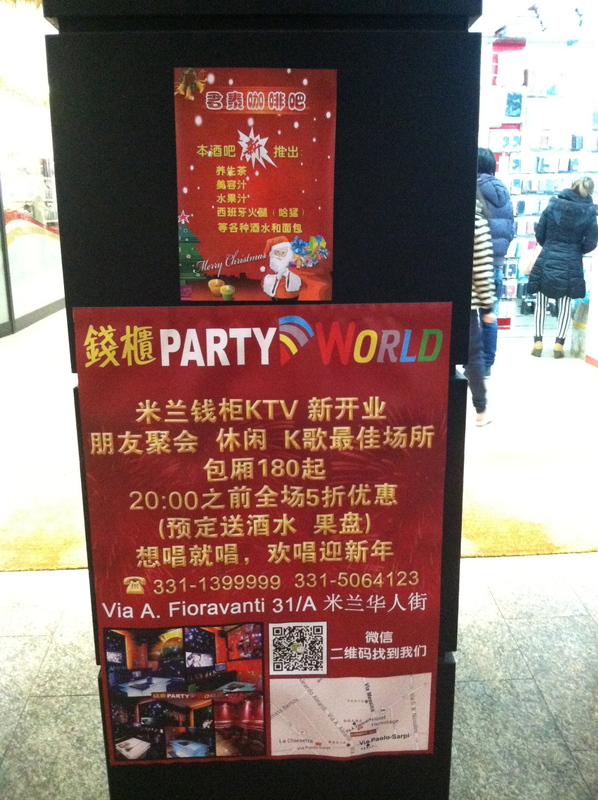 Street signs and billboards quickly change from Italian to Chinese. 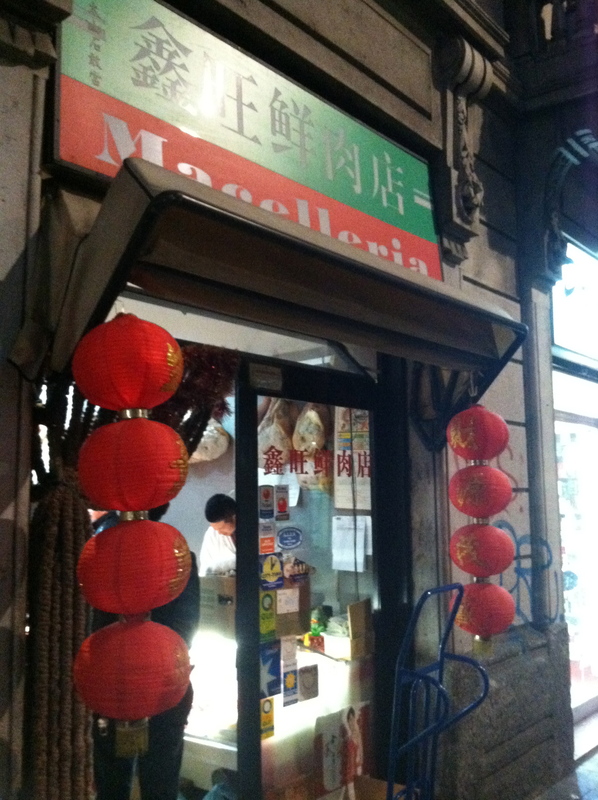 Milan’s Chinatown does not feel touristy like Chinatowns that you’ll find in other parts of the world. Milan’s Chinatown is no frills—it serves the needs of the locals, and creates an area where one can live without needing to know how to speak Italian. 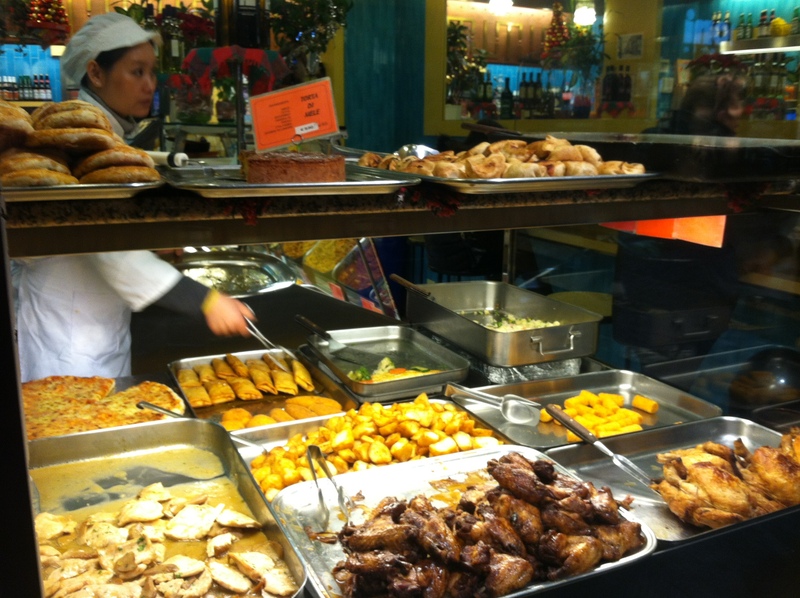 While San Francisco’s Chinatown does serve the needs of its Chinese residents, it also is one of San Francisco’s top tourist destinations, making the area a bit of a show, where as a trip to Milan’s Chinatown is just a view into ordinary life for the locals. 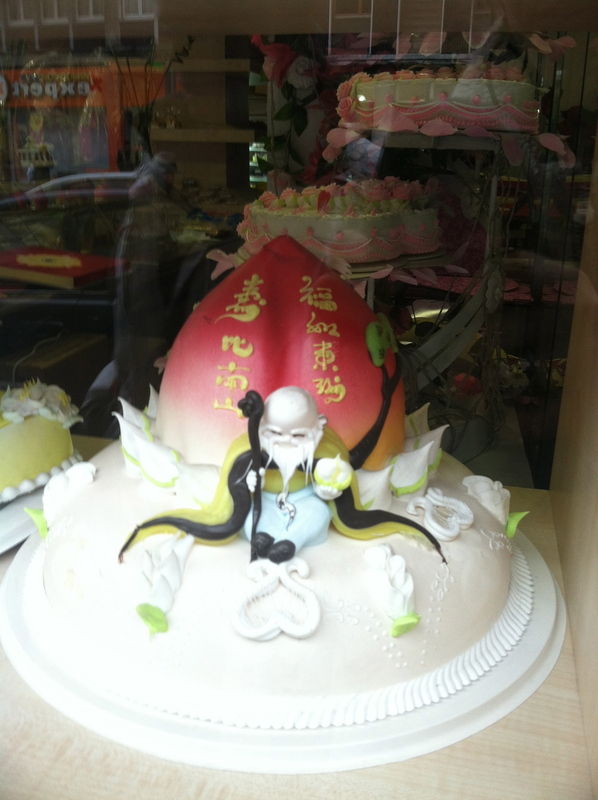 Store windows display cakes for Chinese holidays. 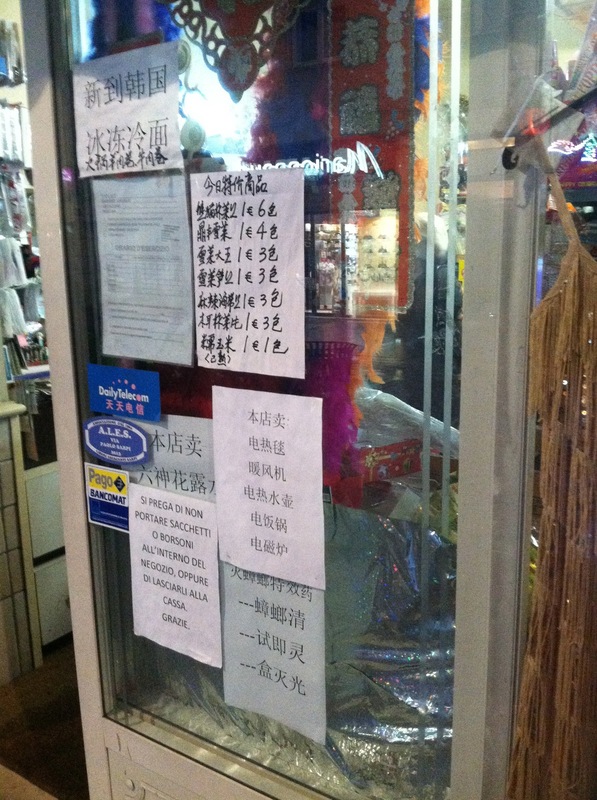 Businesses cater only to Chinese customers, without any Italian signage. 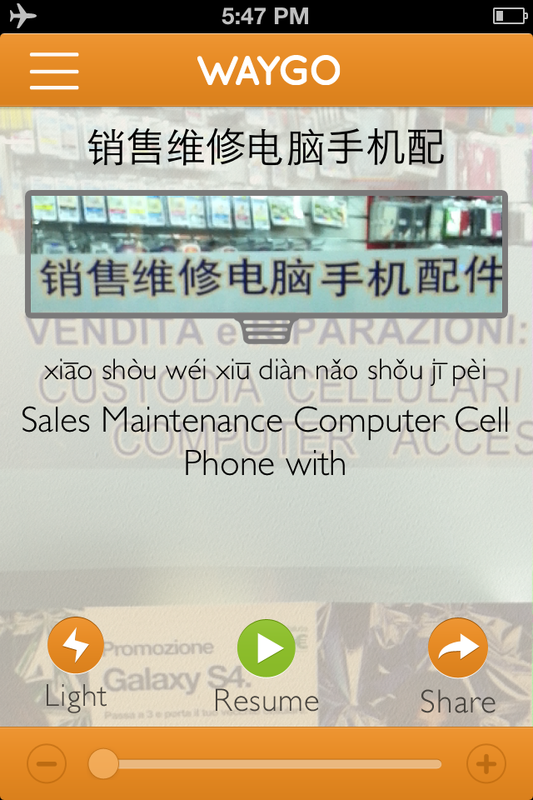 After just a short walk down the main drag, Via Paolo Sarpi, it’s easy to learn Chinatown’s niche in the Milan economy: electronic repairs and sales. Each block seems to contain no less than 5 shops specializing in the electronics industry. The area is also replete with Chinese food markets and restaurants, inexpensive household items, and clothing stores that carry totally different clothes than clothing stores throughout the rest of the city. 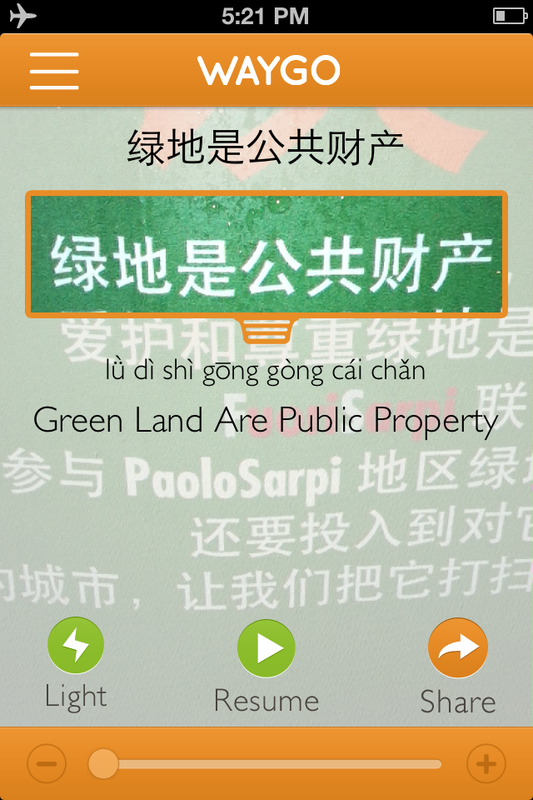 The city connects with locals by displaying signs in Chinese, as seen in the photo on the left. 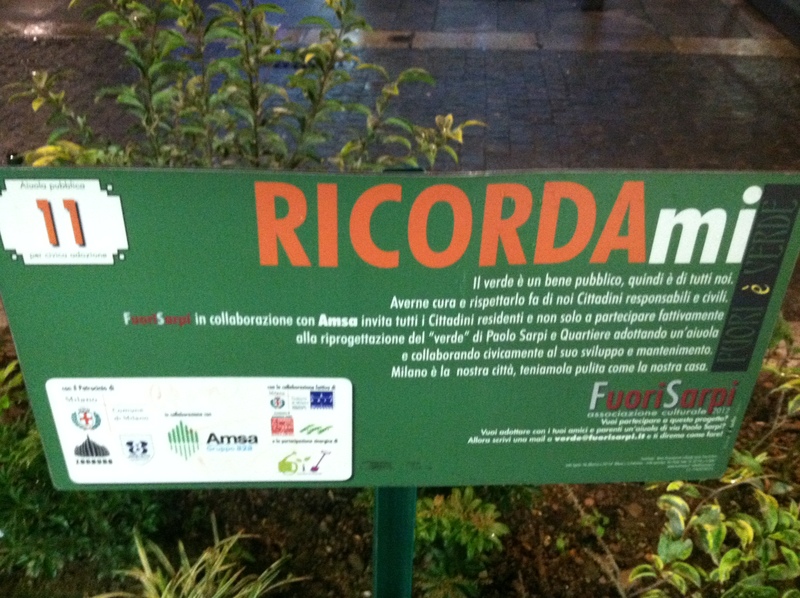 Throughout the other parts of Milan, the same signs appear as the photo on the right. 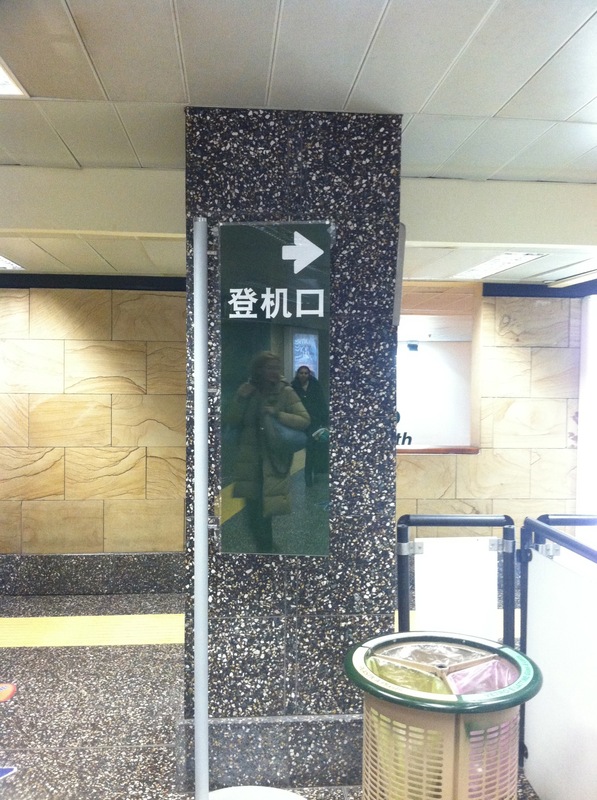 Outside of Chinatown, the same sign is featured in Italian. City signs in Chinatown are written in Chinese, rather than Italian. Just like any Chinatown in the world, the Chinatown of Milan brings together Chinese and Italian tastes to create a unique fusion. However, once we arrived and inquired in Chinese, the hostesses quickly shooed us away, telling us it was only for Chinese customers. Although she explained that we wouldn’t enjoy it because they only had Chinese songs, we suspect there was something else (read: non-singing activities) taking place that she didn’t think we’d be interested in. We were probably the first non-Chinese customers to have ever wandered in, as all the signage was in Chinese, and without a friend that can read Chinese, like Waygo, you would have never known that there was a karaoke bar. Manzo all’erba cipollina in Italian, or 牛肉韭菜 in Chinese. While most Italian restaurants close after lunch and don’t open until about 7pm for dinner, Chinese restaurants are not just already opened at 7pm, but they are full of patrons. 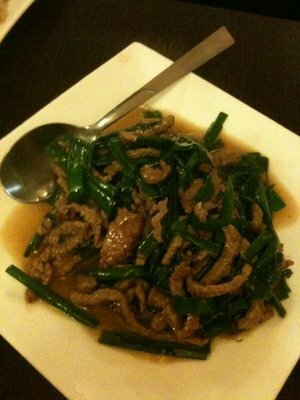 Waygo dined at Long Chang, and despite it only having a 3-star average on Yelp, we had a 5-star experience. Besides a handful of customers speaking Italian, and the Chinese menu translated into Italian (or “Chitaliano“= Chinese + Italiano), you would have never known you were in Italy. The majority of customers were speaking Chinese (along with the entire staff), the atmosphere mirrored a restaurant in China, and the food tasted like the homeland. All of us here at Waygo wish you happy travels and a happy new year! Or as we like to say these days, buon viaggio e buon anno! Stay tuned for more of Waygo’s travel tales.